Dual illumnated sight with 4 different reticles (Star, Cross, Dot, Bullseye). Red and green illumanated with 3 MOA dot. Each click adjustment moves the point of impact by 1 MOA. 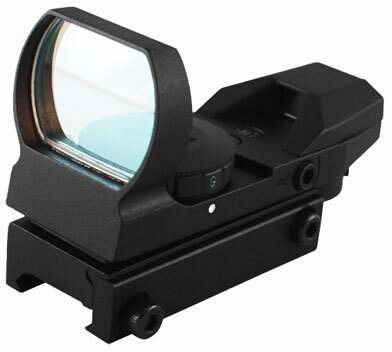 Besides normal shooting the wide field of view makes the RT403 suitable for rapid firing or shooting of moving targets.